Purex Crystals are meant to be added to the washing machine drum during a regular laundry cycle. The little beads or crystals dissolve and add scent to a load of laundry. One of the main goals, when we wash our laundry, is to have it come out of the dryer smelling clean and fresh without any laundry odors. Wouldn't it be nice if that nice and fresh smell stayed until it was time to wear the clothing? Purex Crystals Laundry Enhancer promises to do that for your laundry. So how does it stack up? Purex Crystals are really simple to use. Measure out the desired amount of crystals into the cap and pour it into the drum of the washing machine before adding clothes. Add your laundry, soap, and softener. Wash normally. The crystals dissolve into the washed load and leave behind a scent or fragrance that is meant to stick with the clothing not only through the washing and drying cycle, but in closets and drawers as well. To get more scent, use more crystals. For less scent, add less. Do not put the crystals into a soap dispenser. They must be added into the main drum of the washer. After reviewing Downy's Unstoppables, I wanted to get my hands on some other brands of laundry enhancers to try to see how they worked. I honestly hadn't heard very much about Purex's Crystals Laundry Enhancer which made me even more eager to try them. I picked up a 28 oz. bottle of the Fresh Spring scent at my local grocery store and brought it home. Because my kids do a lot of the laundry at my house, it was my son who first read the directions and added the Purex Crystals to the load. I remember walking by our laundry room when the clothes were in the dryer and thinking that the laundry smelled really great. A few days later when it was my turn to do laundry, my 10-year-old son asked me to make sure I used the crystals when caring for his linens. The loads that I used Purex Crystals on came out smelling fresh and clean. You could tell that there was an added scent. I liked that whether or not I used fabric softener and/or scented laundry detergent, adding Purex Crystals made the clothes smell amazing. That being said, Purex Crystals are not meant to be a fabric softener. They don't eliminate static cling, either. These are purely for a longer lasting scent for your laundry. Purex Crystals come in 2 different sizes 28 oz/32 loads or 55 oz/62 loads. There are currently 3 available scents: Fresh Spring Waters, Lavender Blossom, and Tropical Splash. Purex Crystals are available at most local retailers that carry laundry supplies as well as online. I liked the Purex Crystals. I thought the scent was just enough without being overwhelming. I was impressed that the scent did seem to hold on for a week or so. The crystals are easy to use as well. I didn't have any problems with them not dissolving all the way, even in cold washes and rinses. There was never any residue on any of the clothing, even after nearly 30 loads of laundry. Similarly, there was no residue in the washing machine. The things I don't like about Purex Crystals are the same things I don't like about all the products in this category. It's an added expense and product that only does one thing. This won't necessarily replace your fabric softener and definitely, doesn't clean or act as a stain remover. It's purely for scent. Also, like the other products, it essentially made up of scent and dyes. For those with sensitivity issues, this type of product is probably not a good idea. 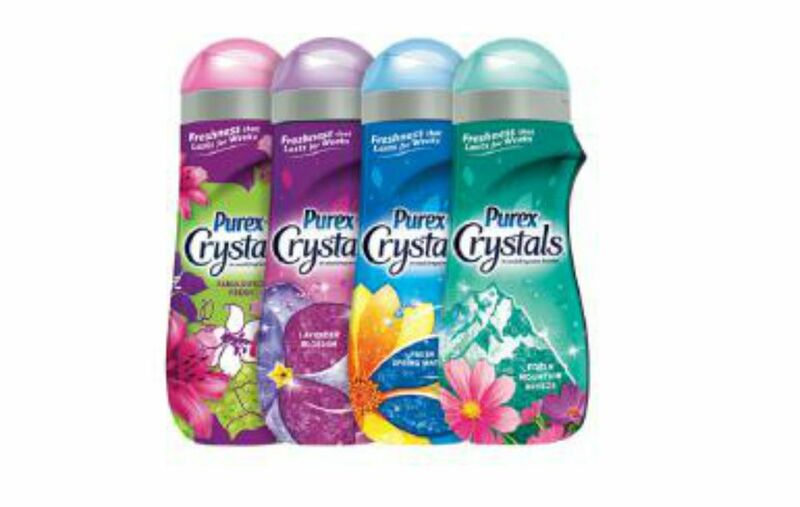 However, if you are all about scent and one of these appeals to you, I think you'll love Purex Crystals. Do Downy Unstopables Scent Boosters Work? Can I Use HE Laundry Detergent in a Regular Clothes Washer?